Last week or was it the week before now! 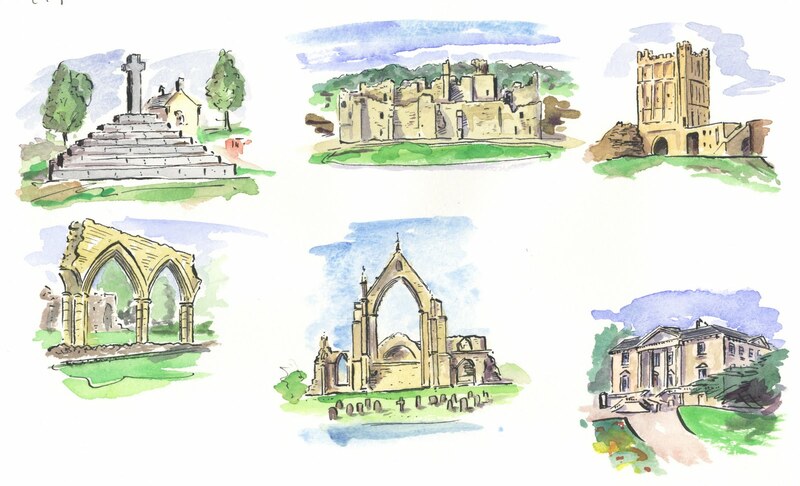 I received two enquiries from Yorkshire, One for a map of Yorkshire to show the new Turner Trail that is soon to be developed, plotting locations of Turner's painterly exploits. 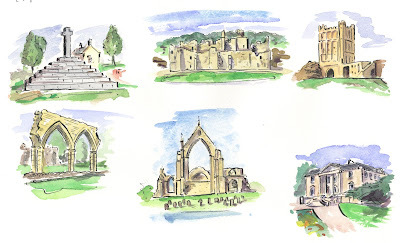 While the second was for Dales Life Magazine to do a walking map of Bolton Abbey and The Srtid, incidentally one of Turner's sketching locations, and hopefully a series of maps to follow. The news that week was about the 'Crossbow Cannibal' and my Bank Holiday was spend in a wet West Yorkshire with a visit to the Yorkshire Game Fair at Harewood House, you guessed it another Turner location. I suppose the week before came close doing a map of New York, a map for the Wall Street Journal and a trip to see SITC2 instead of a visit to the Big Apple. Where in the world will I be next?